Although it's short and suffers from the odd control issue, Never Alone's Foxtales expansion is a solid add-on to an already memorable game. Late last year, we were given more than just a game with Never Alone, an under-appreciated and occasionally flawed gem that deserves recognition. Although it had some problems — what with imperfect mechanics that sometimes led to frustration — it was a unique breath of fresh air and a very memorable experience overall. 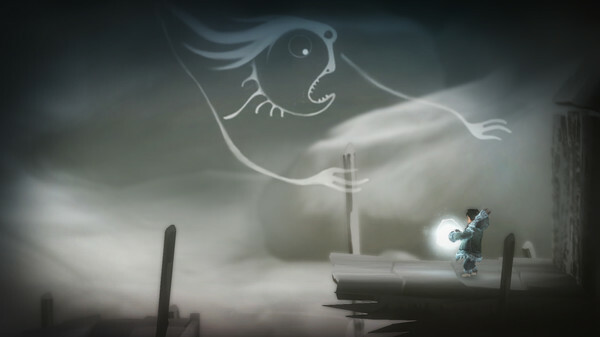 I don’t say that because of its gameplay, but because of its entire package, which mixed the uniqueness of Inuit life and culture with an immersive and engaging story. 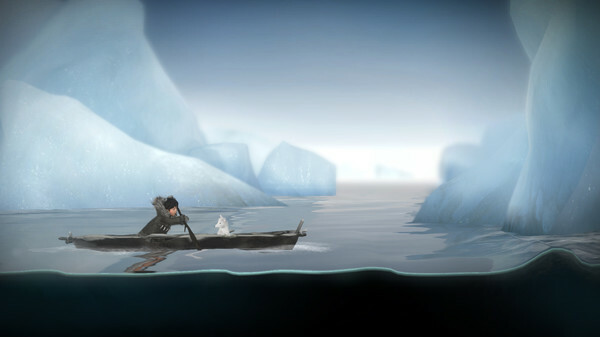 I, myself, will remember Never Alone most for its look inside the lives and history of Alaska’s Inuit. Being able to search out (barely) hidden owls in order to gain access to short documentaries about the people whose lives and stories inspired the game was an absolute treat, and I thoroughly appreciated that part of the experience. After all, not only were the videos and interviews well shot and beautiful in full high-definition, but they were also insightful and thoroughly interesting. They were also never of the in your face variety, nor were they ever forced upon the player, who could choose to watch them on his or her own time or not at all. While I didn’t review Never Alone, I did play it shortly after launch and wound up thinking of it as an honourable mention when it came time to vote for our Game of the Year awards. Needless to say, it’s a game that had an impact on me, despite being imperfect and sometimes flawed mechanically. There was a lot of love put into the project, and it showed. Fast-forward several months to the present, and we’ve just witnessed the release of Foxtales, the first and perhaps only expansion for this wonderful little game. Existing as a separate campaign, it’s a four dollar purchase that makes another interesting Inuit fable into an interactive experience. However, though it does a lot of things right, the add-on’s very brief length keeps it from being a slam dunk recommendation. 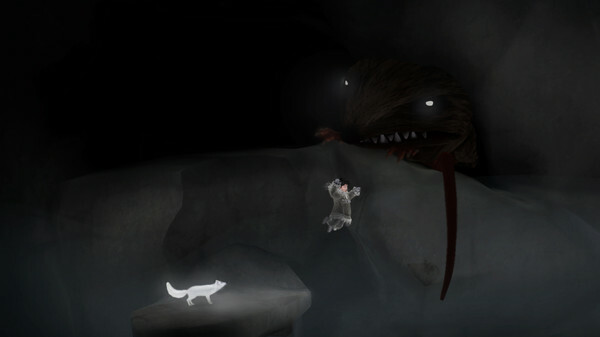 Based on a story about a gigantic mouse creature that terrorized villagers, Never Alone‘s Foxtales expansion once again tasks Nuna and her friendly fox ally with being heroes. They take the place of two brothers who save the day in the original version of the story, which has been passed down through generations. Things begin at the onset of springtime, where jubilation and childhood innocence cause our two heroes to forget what they were told about respecting every living creature. They see a mouse that has come out of hibernation, and decide to chase it for fun. Things don’t end well, though, because the seemingly innocent game concludes with the mouse running to the edge of a canoe for safety before falling into the water once the two protagonists clamour onto it themselves. 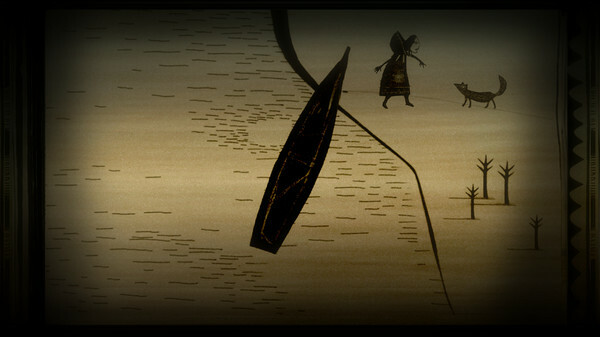 Seeing the mouse in danger causes Nuna to panic, because she realizes that what she did was wrong. As such, she and the friendly white fox begin to paddle forward with the hopes of saving their potentially doomed ‘friend.’ Thus begins a one to one-and-a-half hour-long quest, which manifests a gigantic rat creature as its main boss and adversary. What’s new here is the canoeing, which is mostly handled through directional joystick inputs. You first position the paddle, then rotate the joystick in order to propel yourself. It’s a pretty simple system, though it’s also a bit too finicky for its own good. When you’re not paddling the boat towards your goal, or positioning it in a way that befits a puzzle’s solution, you’ll be navigating the frigid Alaskan waters through traditional swimming and trying to solve puzzles that way. Expect to pull and reposition spirits quite often, in order to affect the way that the water’s current is moving, as well as the direction of the currents underneath it. You’ll use the latter in order to not only move Nuna and the fox, but also rocks that are necessary in order to break underwater blockages. Almost all of it will be familiar to those who played through the core campaign, as a lot of the gameplay is still very similar despite its greater focus on water itself. Everything you do during this short mini-campaign will be in an effort to safely pass from one point of the river to another. It’s really pretty simple, and there’s a nice relaxed atmosphere to be found here, despite one or two mildly challenging puzzles. Never Alone was, after all, never meant to be an incredibly challenging and is supposed to be an experience more than anything else. Outside of occasional control problems that continue on from the base game, Never Alone‘s Foxtales expansion is a solid affair. It’s interesting, immersive and beautiful to look at, and really fits in well with everything that came before it. On top of that, it also introduces several new cultural insight videos, which were a treat to watch. It is very short, though, so do take that into consideration before hitting the buy button.